Chto Delat?, The Excluded. 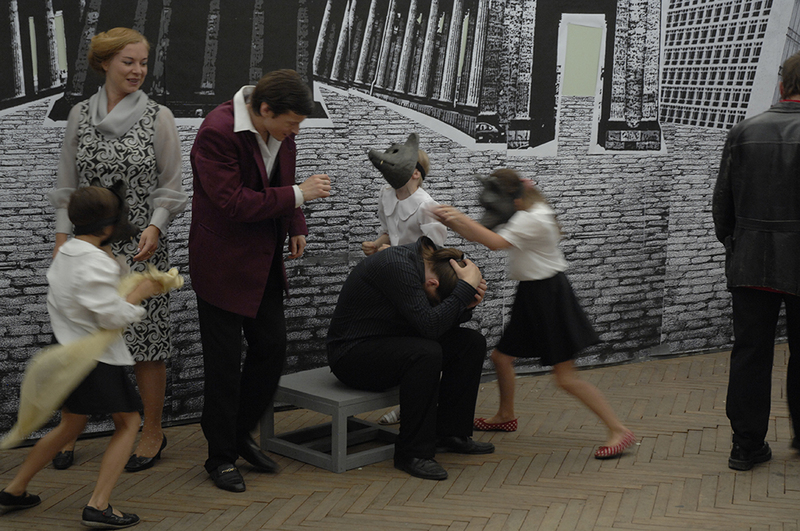 In a Moment of Danger, still, 2014, 4-channel video installation, 57 min 35 s (Russian, subtitled in English). Courtesy of KOW Berlin. Chto Delat?, Perestroika Songspiel. Victory over the Coup, still, 2008, video, 26 min 23 s (Russian, subtitled in French and English). Courtesy of KOW Berlin. Chto Delat?, Museum Songspiel. The Netherlands 20XX, still, 2011, video, 25 min 21 s (Dutch, subtitled in English). Courtesy of KOW Berlin. Chto Delat?, Palace Square 100 Years After. Four Seasons of Zombie, still, 2017, film-lecture, 36 min 20 s (Russian, subtitled in English). Courtesy of KOW Berlin. View of the exhibition Chto Delat? Performative Practices of Our Time, VOX, from February 14 to March 31, 2018. The multidisciplinary, politically charged productions of the collective Chto Delat? (“What is to be done?”1) employ narrative strategies borrowed from the theatre of Bertolt Brecht and reclaim elements of the aesthetic vocabulary of the avant-garde2 to open up a critical space in historical and present-day Russia. The exhibition Chto Delat? 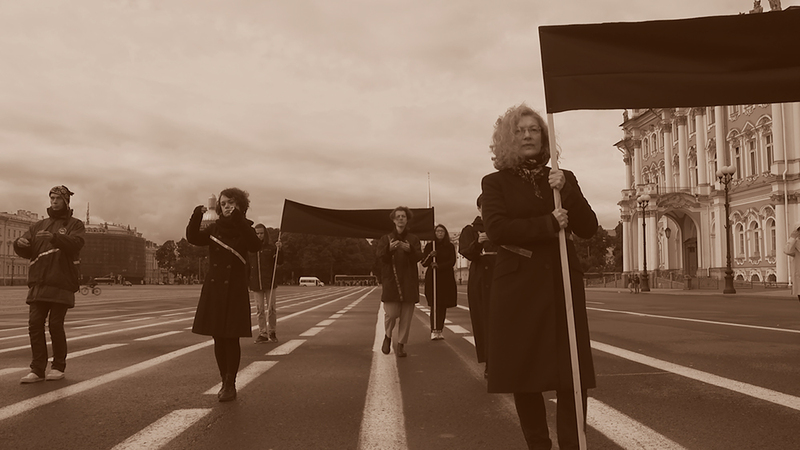 Performative Practices of Our Time brings together works created by the collective over a decade, within the post-Soviet context of the 2000s, and which today address the intensifying of the politically repressive climate instituted by the Vladimir Putin regime. Using diverse forms of performativity, these works highlight the clash of multiple forms of discourse—conservative, nationalist, religious, neoliberalist, reformist—permeating contemporary social and political struggles. They examine the ways in which individuals think, live and, especially, feel their relationship to the greater whole. 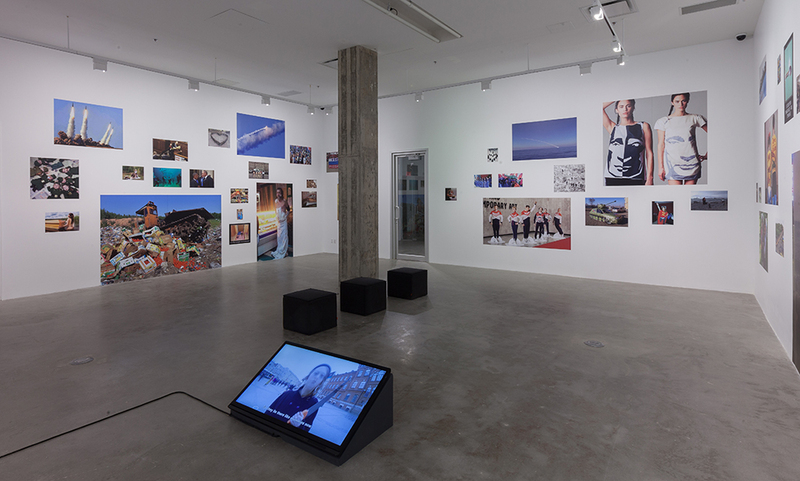 The installation Performative Practices of Our Time (2017) opens the exhibition, offering an immersion into the recent history of Russia and Ukraine.3 A collection of images gleaned from the Web invades the gallery walls; these include digital photographs, Internet memes, and GIFs, widely circulated on social networks and enlarged for presentation in the installation. They depict military attacks, various kinds of patriotic demonstrations that resonate in popular culture, army hazing rituals, and a host of other representations of events reflecting either dogmatic or anticonformist stances. 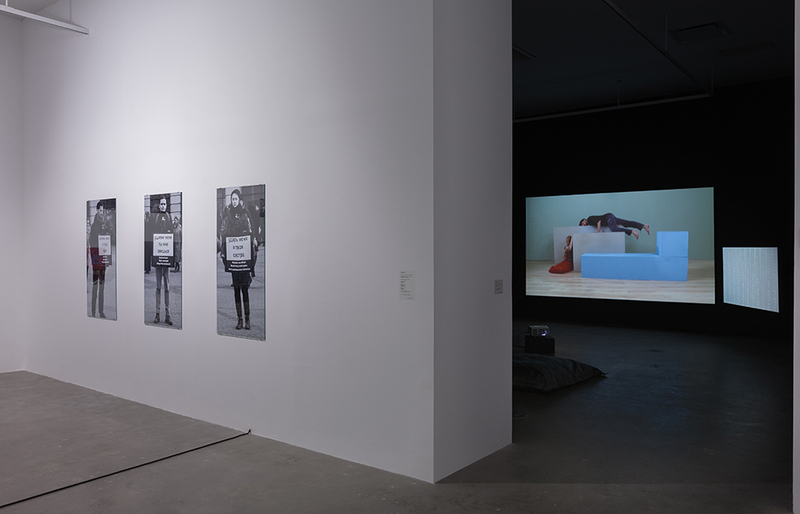 Positioned in the gallery space so as to contrast with one another, the images make up an inventory of symbolic actions, in varying degrees of strangeness, which manifest themselves as performative rituals. They convey an eclectic array of ideological affiliations and beliefs, all of which function to conceal various forms of violence. Constituting a chronicle of the ongoing catastrophe to which we have become accustomed by the news, the installation explores the power of representation in instituting a certain reality, and the capacity of art to respond to it. 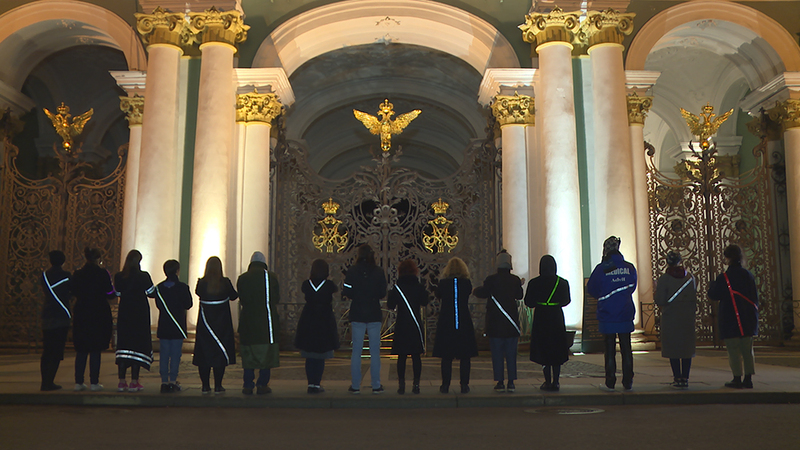 Presented in the same space, the installation Dream of a Protester (2016–17) documents an intervention by the collective in a public square in St. Petersburg. Using the same principle, it collates a cross-section of opinions from contemporary Russia, from the most insidious to the most brutal, while insisting on the role of the artist as agitator. Often based on analysis of social realities, Chto Delat’s works seek to awaken vigilance both with regard to phenomena of social exclusion and to how art relates to the dominant culture. 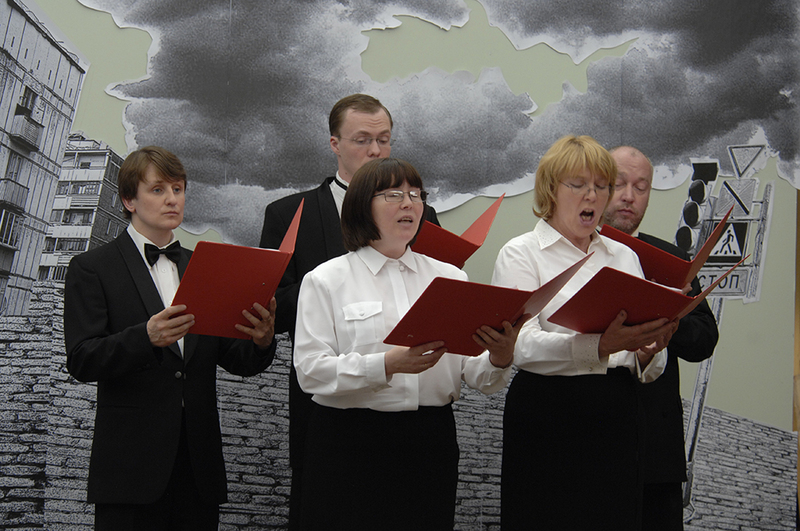 Between 2008 and 2011, taking inspiration from the songspiels created by Bertolt Brecht and Kurt Weill in the 1920s and ’30s the collective produced video, theatrical and musical works involving dialogues among a series of characters who employ stereotypical speech, confronting one another on the stage space. Chto Delat have thus employed the dialectic method and irony as tools to further development of a critical stance against situations of injustice. Perestroika Songspiel. Victory over the Coup (2008) revisits the collapse of the USSR, more specifically the discourses around economic and social reform in the Soviet Union of the late 1980s and the ensuing period of disorientation in the 1990s. Each character embodies a particular political stance, while a choir comments on their actions. The dialogues and sung interventions highlight the expected divergences as well as surprising points of convergence between the progressive and conservatives dimensions of these individual aspirations to a brighter future. Museum Songspiel. 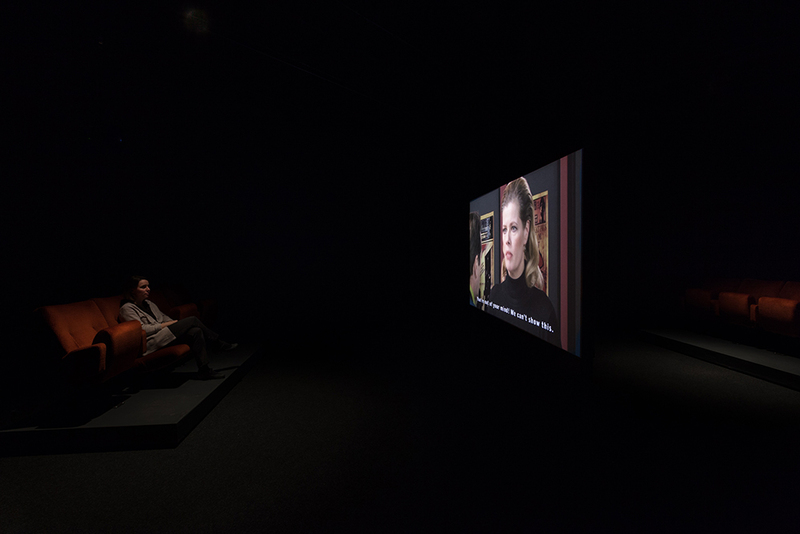 The Netherlands 20XX (2011), for its part, is set in the future, in a museum, the better to question the relationship between artists and art institutions and power. 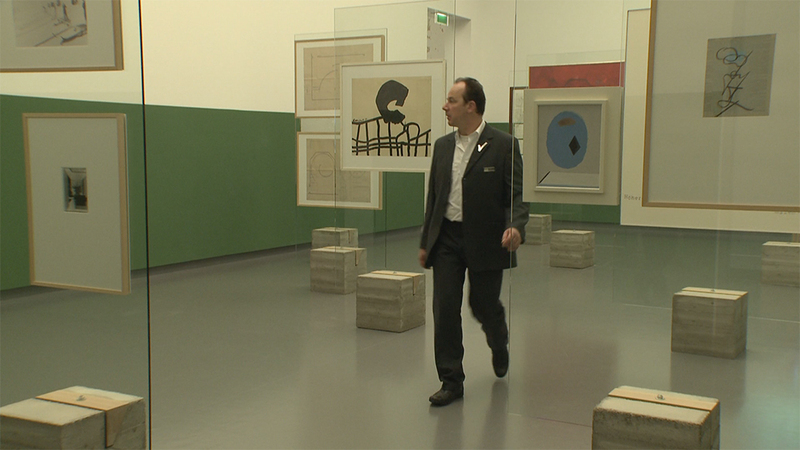 In the film, a group of illegal immigrants finds refuge in a museum of modern and contemporary art, in an open-air gallery where urban art pieces are shown. The museum is posited as a paradoxical location, simultaneously functioning as a space of refuge, playing host to subversive practices,4 and a neutralizing space, relegating art to its strictly symbolic dimension—even subjecting it to its interpretation by the dominant ideology. The orchestration of a plurality of perspectives within the discursive spaces of these works permits espousal of the contradictions inherent in any situation of political struggle. It underscores the importance of representations of history to the construction of political subjectivities, while disclosing the mechanisms of manipulation of public opinion by the media and the organization of disciplinary spaces by those who hold power. 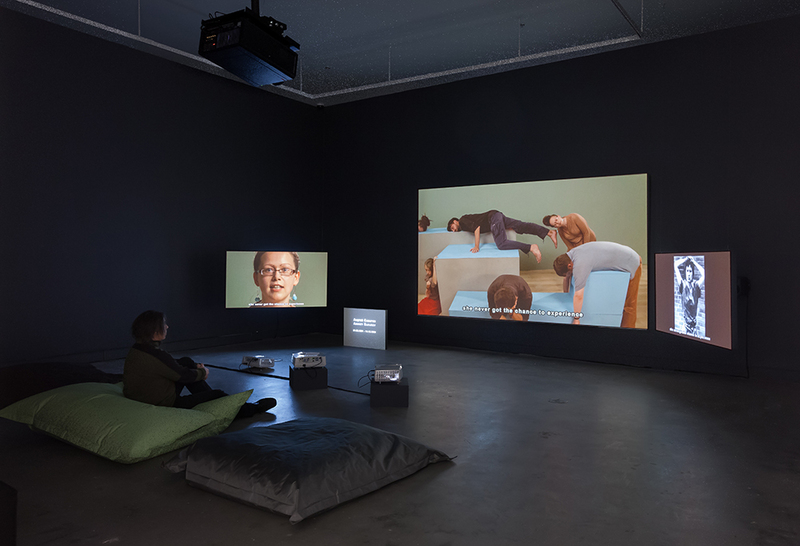 Employing a similar polyphonic strategy, the video installation The Excluded. In a Moment of Danger (2014) is based on a series of performative exercises by the students of the School of Engaged Art, founded by Chto Delat in 2013. 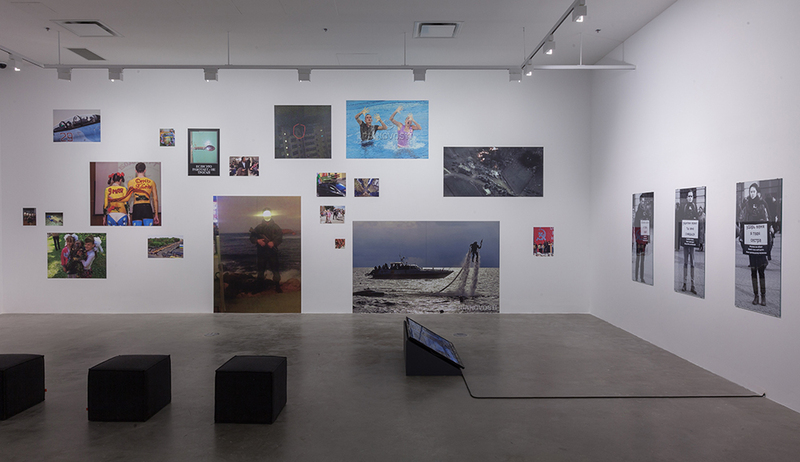 Instead of reporting the narratives permeating the social space via a theatrical mise en scène, this work provides access to a diversity of personal experiences of the threat that emerged in 2014 with the Russian military incursions into Ukraine.5 It refers more directly to ways of viewing one’s relationship to the other, of behaving in the public sphere, and of connecting a vision of one’s self to events in history. It also relies on an improvised gestural language that presents the body as a vector of communication and a locus of resistance. Performed gestures are also manifest in Palace Square 100 Years After. Four Seasons of Zombie (2017). The script for this film-lecture combines the discursive presence of a protagonist who has come to “feel this history, with [her] own body”6 in St. Petersburg Palace Square 100 years after the Bolshevik Revolution, the musical presence of ghosts of communism, and the gestural incarnation of the zombie figure, to which the narrator assigns different meanings. This work, which will be screened during the exhibition, seeks to establish, conceptually, the possibility of a revolutionary situation in the present. The exhibition Chto Delat? Performative Practices of Our Time aims to reveal, in the collective’s most recent projects, the shift from a discursive approach to more radical performance-oriented experimentations, in which the introduction of a corporeal relationship to thought seeks to disable the very principle of rationality. It aims to elicit a reading of history that asks us to take a stance, affectively and corporeally; to adopt a “posture” vis-à-vis its resonances in the news. As such, it addresses the imagined spaces of revolution and speaks the language of the material—that of a collective body bent on interfering. 1. The collective’s name refers to the titles of two writings about social emancipation: a novel by Nikolay Chernyshevsky published in 1863 and an essay by Lenin published in 1902. Chto Delat was founded in early 2003 in St. Petersburg. 2. A selection of terms taken from the Chto Delat? 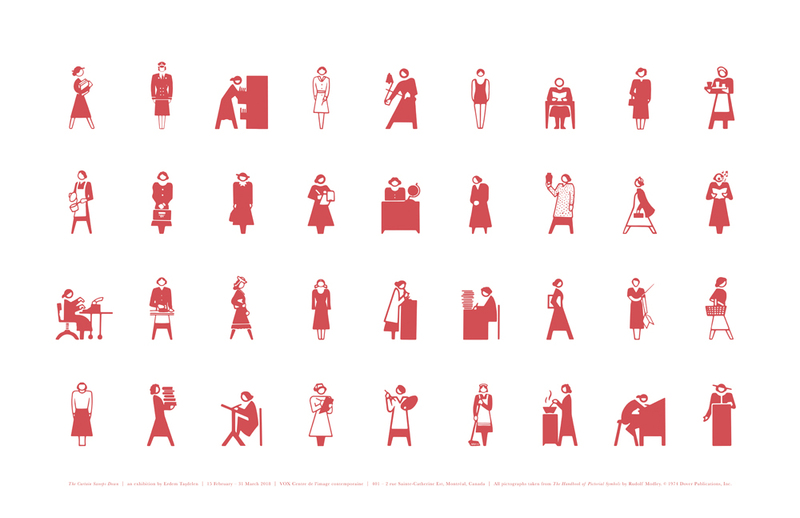 Lexicon is provided in the gallery space and on the VOX website. These definitions testify to the development of theoretical analysis that is integral to Chto Delat’s practice, and emphasize the semantic deviation observed when the words are employed in distinct contexts. 3. Relations between the neighbouring countries, which are culturally quite similar, deteriorated significantly following the ouster of pro-Russian president Viktor Yanukovych and the Russian military intervention in Ukraine in 2014. 4. This concept of the institution of contemporary art as a space of refuge is seen again in the project It Hasn’t Happened With Us Yet. Safe Haven (2016), for which Chto Delat imagined its stay in an international residence in Norway for artists in danger of persecution in their home country. 6. Oxana Timofeeva, in the film Palace Square 100 Years After. Four Seasons of Zombie, 2017, 36 min 20 s.
For Nuit blanche à Montréal, VOX will be open until midnight! Cultural mediators will be on-site to welcome you and discuss our current exhibitions. VOX invites you to a discussion around the analogous issues raised by the exhibitions The Curtain Sweeps Down and Chto Delat? Performative Practices of Our Time. This roundtable will bring together artists Erdem Taşdelen (Toronto) and Oxana Timofeeva (St. Petersburg), as well as curator Véronique Leblanc.